It’s a fact that Russians Love Donald Trump. Caviar congratulates Donald Trump on his presidential victory and presents him with this Changeover Gold iPhone. Russian company Caviar created this cool looking GOLD iPhone to honor Donald Trump’s presidency elect. 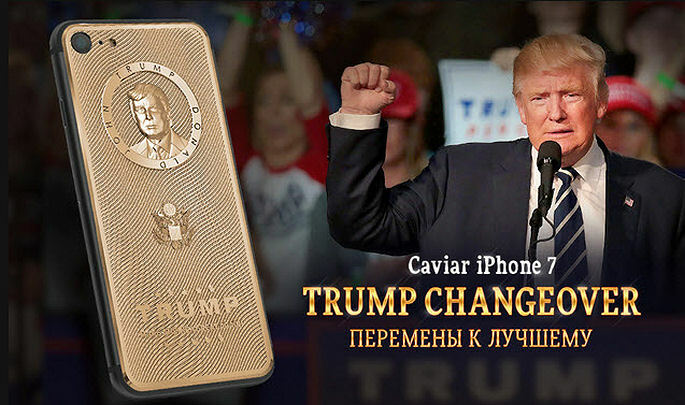 Caviar, a brand of luxury Russian smartphones, decided to congratulate Mr. Trump on his victory and included a model with the politician’s portrait to it’s presidential iPhone collection. Caviar has contacted Mr. Trump’s office with a proposal to send the smartphone to America, as a sign of further friendship between the countries. The new model of exclusive iPhone 7 is a part of Supremo series. This series is devoted to great personalities and already includes several models devoted to the President of the Russian Federation, Vladimir Putin. This phone is a material expression of hopes for rapprochement of Russia and USA and for confirmation of well-disposed Trump’s words about Russia by deeds which will lead to Changeover of relations between two Great Powers. 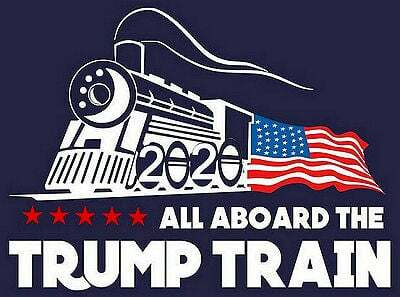 Many Russians love and respect Donald Trump. There is even a petition to build a Trump Tower in Moscow started by some of his Russian fans during the campaign. 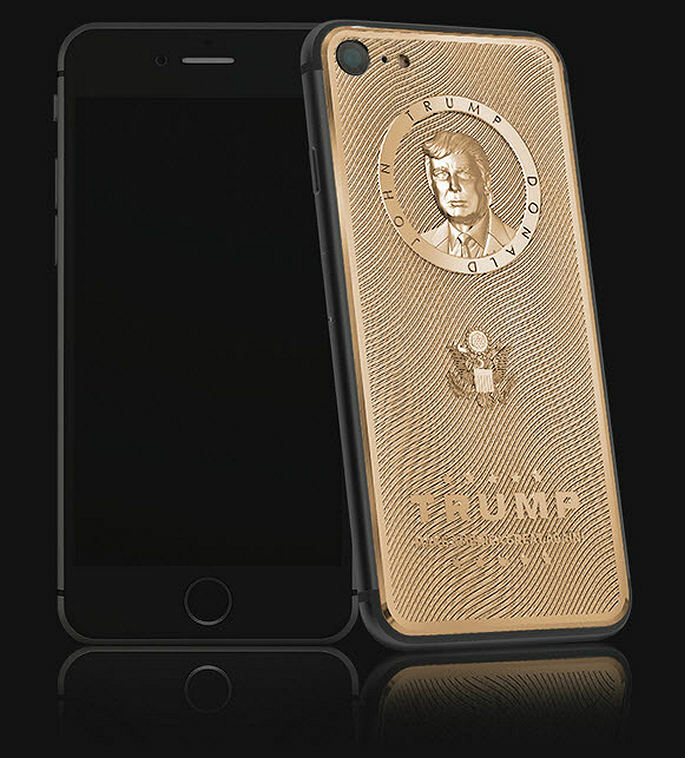 We feel this Gold iPhone is a great honor being dedicated to Donald Trump, by Caviar. And wish both America and Russia the best of relationships in 2017 and onward.